Sometimes I feel like I've drifted off course..which is slightly problematic because that suggests I know what my course is. I don't. But anyway, that's a bit too deep for this time of night. Tharunka got an email today from someone going under the name "Fashion Liberationist", being generally offended and righteous about the article Anita and I wrote under the nom de plume "Frou Frou McDash and her trusty sidekick Sparkle Boa". It was a mildly amusing piece, condemning some of the tragic fashion on campus, namely jeans tucked into boots, and the bolero jacket (with a mention for tacky pleather metallic accessories). The poor little petal didn't like it one bit. Probably because when she read the article she was committing all of the fashion crimes mentioned. Reading her little email brightened my day, especially when she tried to make some kind of parallel about boots and geckos...not really sure where the geckos came in but anyway, maybe that's because I don't understand the fashion aesthetic. 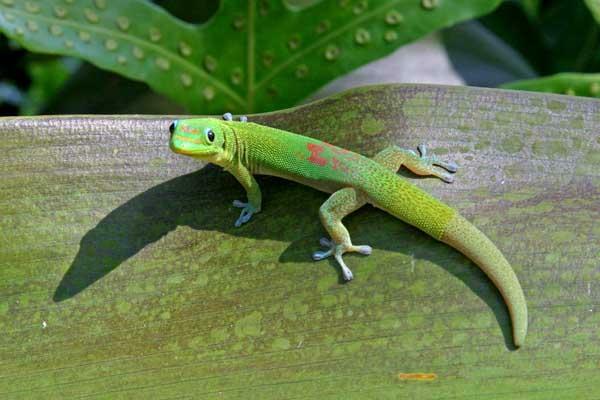 I started thinking just now that maybe I'd like a gecko as a pet, because they have a cool name. I didn't realise there was so many types of the little critters and that they were so ugggly. I always had an image in my head of them being really cute. Oh well.